KANSAS CITY, Kan. — Loving God and paying it forward — that’s what Joseph Kain taught his son Marcus. Those lessons — and his father’s legacy — set Kain on a path that would lead him to become the new executive director of the Catholic Youth Organization of Wyandotte and Johnson counties. Kain, 39, a member of Holy Spirit Parish in Overland Park, was selected on Dec. 1 by a hiring committee of CYO board members and archdiocesan officials. He assumed his position on Dec. 15. Kain succeeds Peter Piscitello, who was CYO executive director from 2010 to 2017. Kain, a 1997 graduate of Rockhurst High School in Kansas City, Missouri, earned a bachelor’s in accounting and finance from Texas Christian University in Fort Worth, Texas. But one of the most formative influences on his life, his father, was lost suddenly to the family three years ago, on July 27, 2014. “My mother Carol got a phone call from the chaplain at the Swedish American Hospital in Denver,” said Kain. The chaplain told them Joseph Kain had been involved in an accident on a mountain road, and doctors were trying to save him. When they got home, they received the news that Joseph Kain had died from his injuries. At the time, Kain was working at a “green” manufacturing firm using recycled plastic and helping his father, who had a wealth-management business. The plan was always that Marcus would take it over someday. It fell upon Kain to attend to his father’s business, even while he dealt with his grief. “So I thought for the next several years about how I could best glorify God,” he added. And during that time, Kain was involved in a number of activities that involved faith and philanthropy. “I took [Dad’s] baton in a lot of ways,” said Kain. Kain began going to local high schools, Catholic and public, to give motivational talks to students on topics ranging from mentoring, college choices and developing good habits, to business startups and ethics in marketing. He got involved with Children International, Junior Achievement, Solace House and the Catholic Education Foundation Futures board. He founded “Grieving Young Adults,” a bereavement support group for young adults ages 18 to 40. And, since he grew up participating in a variety of sports, ranging from soccer and golf to basketball, it was only natural that he remained involved in that as well. Kain served as an assistant golf coach at Bishop Miege High School in Roeland Park, assistant girls varsity soccer coach at Hyman Brand Hebrew Academy in Overland Park and coached at the club level as well. 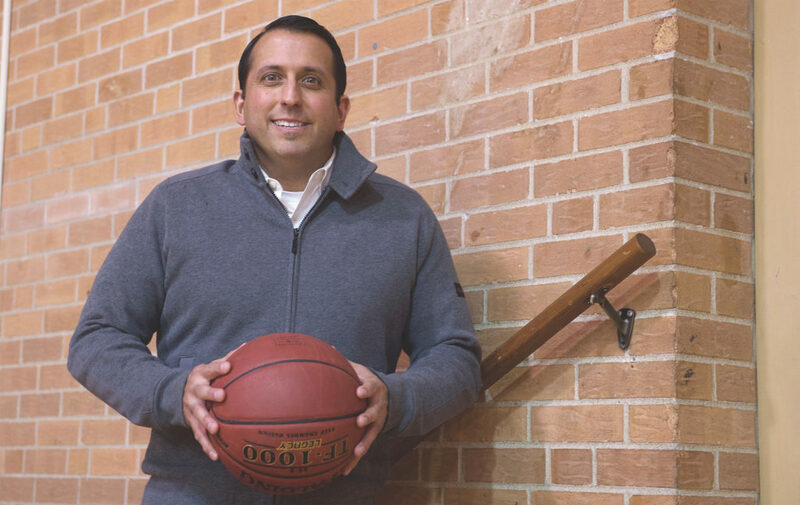 Finally, Kain was involved in the Catholic Challenge Sports ministry for young adults in the Greater Kansas City area, serving on the board from 2007 to 2010, when he was the board’s president. The opportunity to lead CYO came out of the blue to him while he was volunteering at the Mike Sweeney Baseball Camp this past summer and learned the position would be open. “I thought to myself that I’d throw my name in for consideration,” he said. “God wouldn’t have placed this on my heart if he didn’t want me to see if this was a part of his plan or not. The selection committee, which included Archbishop Joseph F. Naumann, was very pleased with Kain. Lynch particularly liked Kain’s enthusiasm and willingness to explore new opportunities. Kain, in turn, can’t wait to do just that. “We are called to help others develop a personal relationship with Christ and to lead a holy lifestyle,” said Kain. So what better way for him to do that than in a field he’s familiar with — sports — serving a population he’s passionate about — youth?